Gonzo Strategies has been my web site designer for the last 6 years. Gerry has done a fabulous job of making certain that my site gets the traffic It needs to make my phone ring. A couple of years back we had Gonzo strategies give us a face life and a new logo. They gave us several alternatives to choose from and we have been very happy with the Branding that this new look created for us. The value of your unique brand is priceless. Gonzo strategies will do a great job for you on your web presence and any graphic design need that you might have. I highly recommend you try them and get ready for your phone to ring with new customers. 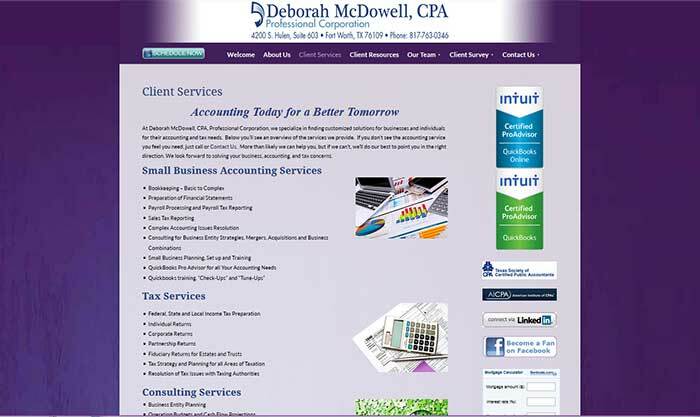 Deborah McDowell is a CPA in Fort Worth, TX, working primarily with small-businesses in the DFW area. When Deborah opened her office she knew one of the first things she needed was a strong online presence to connect to her current audience and reach new clients. During our initial interview, Deborah was able to give a clear impression of the type of site she did NOT want. 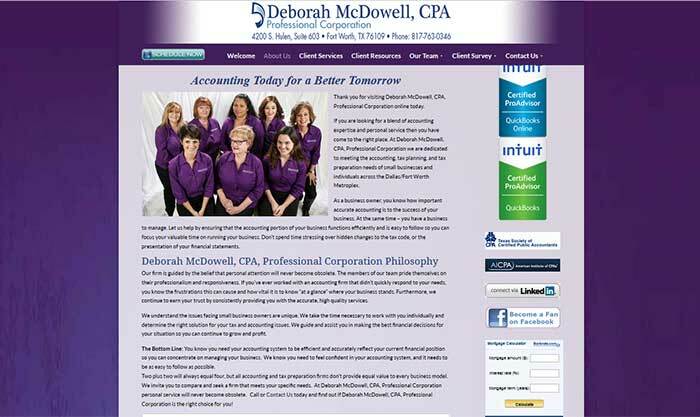 She showed us what to avoid so her site didn’t look the same as every other CPA in town. She wanted a site that would appeal to small business owners and reflect her whimsical personality, but maintain the professional appearance needed for her industry. Following her initial website development strategy, Gonzo used her existing notes to create website content with stronger marketing impact, customize a WordPress theme suited to her branding and her audience, create a Facebook business page, and connect all of it together. This was actually our second site for Deborah. When she changed her name recently, she asked us to develop new branding for her along with a new site. Click her to see the identity package we created for her. 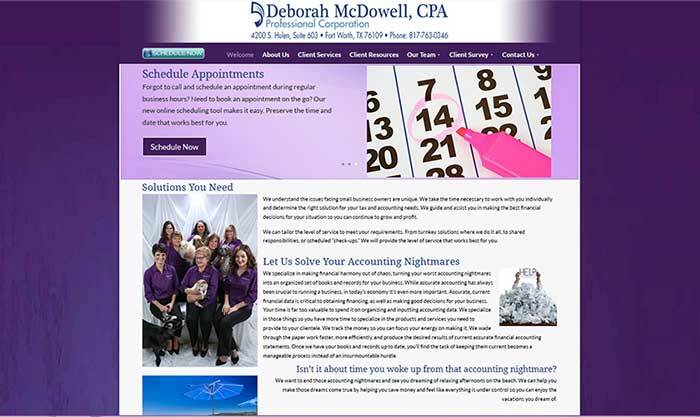 Every time we talk to Deborah she tells us how much her clients love her site.